Melasma is a form of hormonal pigmentation, which most often develops in a symmetrical pattern across the face, and appears as a dark shadow. Melasma is stimulated by an increase in oestrogen, and therefore often orginates during pregnancy, and with use of the oral contraceptive pill or hormone replacement medication. Pigmentation which develops during pregnancy is also referred to as Chloasma, or the ‘mask of pregnancy’. The risk of developing melasma is also associated with a genetic predisposition. The exact cause of Melasma remains unknown, however it is thought that an increase in oestrogen level stimulates melanocytes (pigmented cells within the lower epidermis), which results in deposition of melanin in the skin. Although originating from an underlying hormonal influence, Melasma can be exacerbated by sun exposure, which further stimulates the melanocytes causing the pigmentation to darken and increase in diameter. For most patients with Melasma, the pigmentation lies within the epidermal to dermal junction and therefore deep within the skin surface. Treatment for this type of pigmentation requires ongoing diligent home care alongside clinical treatments. 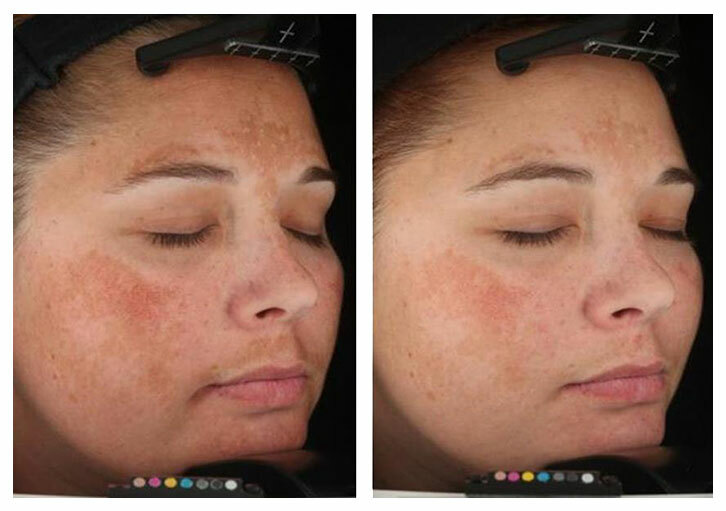 It is important to identify the potential triggers associated with the development of the Melasma, so as to minimise the risk of further pigmentation. As we are well aware of the fact that Melasma has the potential to darken with sun exposure, it is important to engage in a daily routine which consists of a zinc-based sun protection. Zinc provides a physical barrier to both UVA and UVB rays and therefore offers a longer term sun protection than other generic sunscreens. 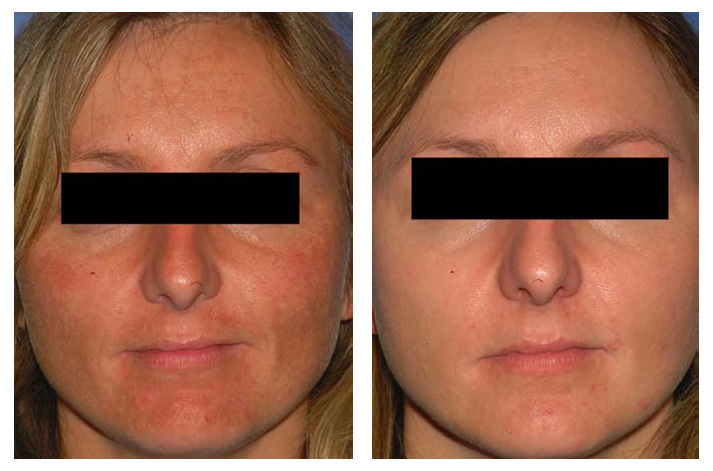 Treating Melasma requires daily topical Vitamin A, which is important as a resurfacing agent for the skin, gradually lifting and removing damaged pigmented cells in replacement for newly rejuvenated skin cells. Lightening agents promote gentle daily bleaching of the pigmentation, improving the skin complexion. Lightening agents are also important as they offer tyrosinase inhibition, preventing the production of melanin, thereby minimising the risk of further pigmentation. 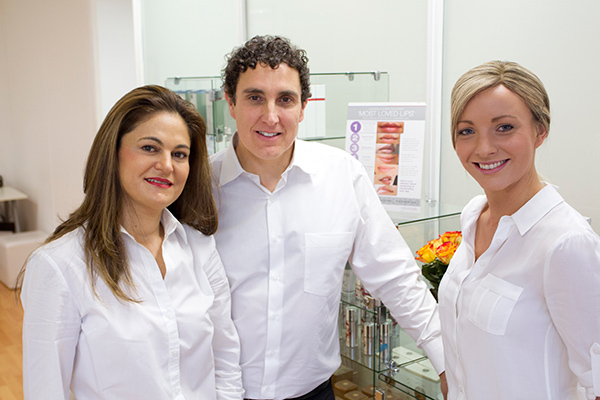 At DermaCare we support a medical skin care range, and your medical practitioner will devise an appropriate prescription to suit your skin type and treatment goals. Alongside a daily home care regime, we offer Vitamin A Peels, which can help to accelerate treatment results by promoting a boost to the skin cell metabolic cycle. Vitamin A peels are Dermally active peels, which promote the exfoliation of the skin layers, lifting and removing damaged pigmented cells, in replacement for newly structured, healthy skin cells. A course of peels are recommended alongside your home care regime to help lighten and improve the skin complexion, reducing the appearance of Melasma. It is important to note that there is no cure or quick fix solution for Melasma, and improvement requires ongoing, diligent treatment.